My blog has always consisted of happy, beautiful births. I’m switching it up today in honor of a very special woman. This woman has given me so much unspeakable joy. The same amount of joy I receive each time I attend a birth. Perhaps this is why I love my job so much. The awareness is real. This woman gave me love. This woman gave me purpose. This woman gave me everything I needed to grow into the person I am today. I’m not perfect, but I don’t want to imagine where I would be had my Jesus not blessed me with the gift of this woman. Let me begin by telling you about her. 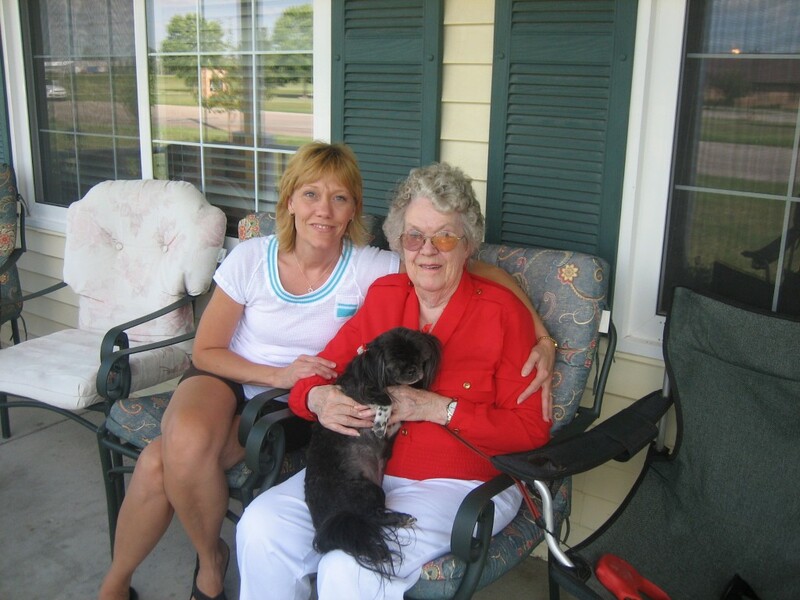 This woman was an encourager, a supporter, a lover of life and family. This woman had a zest for life like none other. As a girl and young woman she loved to play softball. She loved to dance. She loved to bowl. She bowled well into her 70s until her knee would no longer allow it. She has pins, patches and trophies to show all of her incredible games. I believe she still holds the highest scoring game in the Wahpeton bowling alley! She loved to dance, so much so that when she was in her late 80s she danced her tiny little feet in the dining room of our home for my children. She loved her dogs, all of them, and would often dance with them while singing “do de do de do!” She was an avid Twins fan. She watched/listened to them on TV/radio anytime they played. She would coach them wherever she was and cuss them on bad plays. She loved her flowers. Her photo albums were full of pictures of her with her flowers each year. She loved the holidays, especially Halloween when all the children would come dressed in costume. 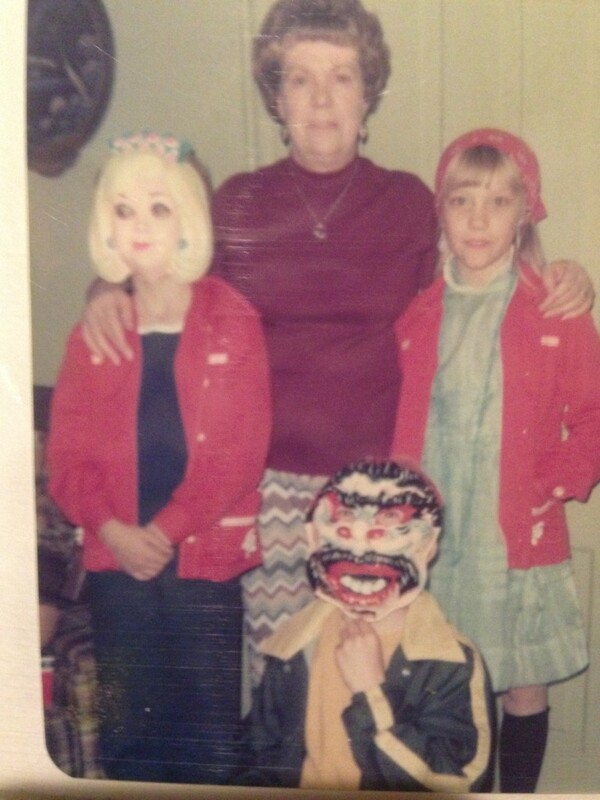 She loved to capture memories and would take pictures of us each year in our plastic masks. You remember the ones with the rubber band that held them tightly to our faces with little holes punched out for our eyes and nostrils? Ah, those were the days! And Thanksgiving! We would all gather in her little trailer home at Thanksgiving to the aroma of turkey wafting into the corners of every room of her warm and inviting space. The women would all help her to prepare the meal in her tiny, little kitchen. The window above the sink all steamed up. She would often get excited that it wasn’t being prepared fast enough because, as she would put it, “there are hungry men out in the living room!” I still chuckle thinking of this as ‘the men’ were actually all happily watching football without as much of a care in the world. After stuffing ourselves, the men would resort to the living room to sleep off their food comas while we cleaned up the kitchen. Once all the dishes were put back into their proper place of the china cabinet, the silverware in its appropriate spot in the case, and the leftovers all packaged up and placed in the refrigerator, the fun would begin! We would take out pie, coffee and games! We played several games but the favorite was Mille Bornes, a French card game. I don’t think any of us will ever forget how she would excitedly yell, “Couferre!” So much fun! Let’s not forget Christmas. 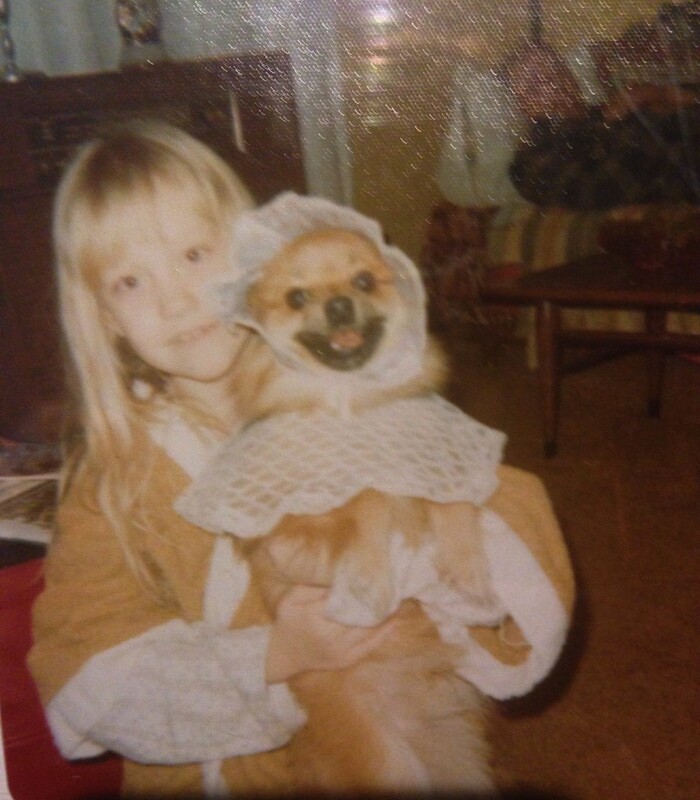 Oh, how she loved Christmas! She would play Christmas music from Thanksgiving on and bake for weeks before Christmas Eve! No matter where she lived, her home was always filled with lights and decorations. She loved to bake cookies especially her Norwegian favorites such as krumkake, spritz cookies, fattigmann, rosettes and lefse. 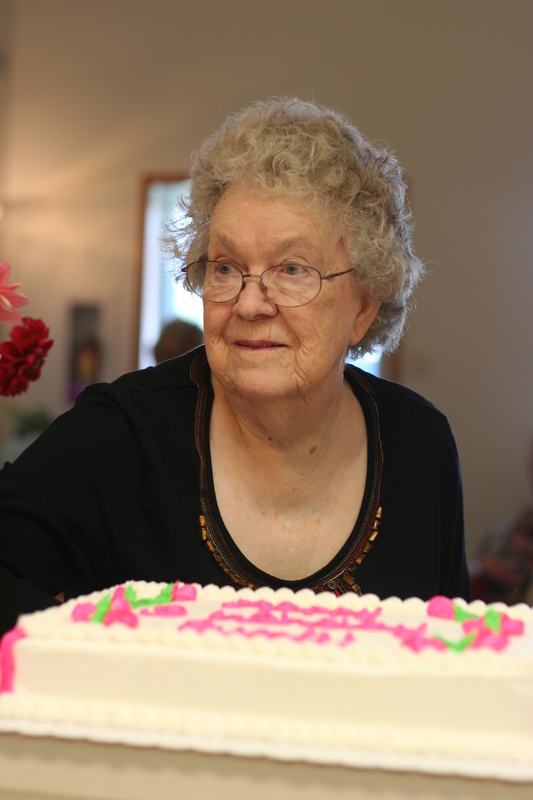 She would love to share her homemade goodies at Christmas time and would always bring a platter full. You better remember from year to year what each of these were called too or you were sure to get hollered at! This woman loved to knit. She knit many a scarf, a hat and blanket. She knit each grandchild and great grandchild an afghan before she could no longer see. Each loop is knitted with love. I have had mine for years. It now has holes but I’ll continue to wrap myself in her love until the threads no longer hold it together. This woman loved her family. 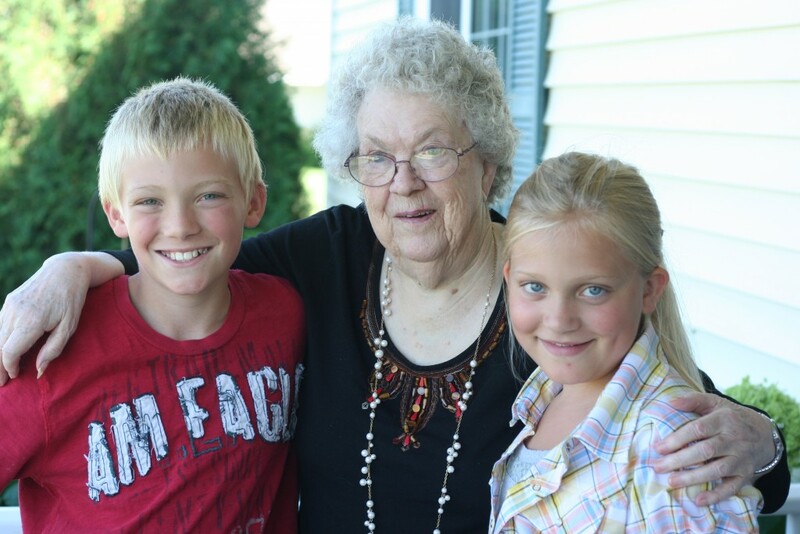 She loved her grandchildren, her great grandchildren and her great, great grandchildren. I’ll always remember the pride I felt as she held her great great grandson! Oh how she laughed at his chubby legs! She loved all the little babies. And none of us will ever forget how this woman loved to brag. You could be assured after a visit, the members of Golden Manor would get their ears full for days and even weeks after a visit from a family member! We loved to spend the night with this woman when we were children. Each morning she would wake up and crow like a rooster! Oh gosh, she was fun! We couldn’t wait to hear her crow! Once she crowed, we knew she was up for the day and knew we could join her in her bed. 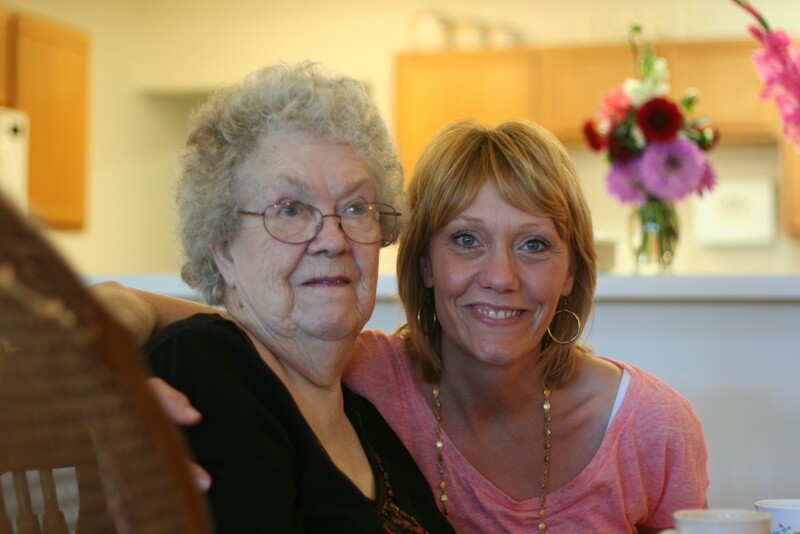 We didn’t do much outside of her home when we spent the night but the things she taught us while in her home were priceless, useful, lifelong gifts of love. She taught my sister and I how to bake and how to knit. She came to all of our games, our programs, and our school activities. She even drove to Lidgerwood so I could take my drivers test! She made me feel special all the time. This woman could lift my spirits when I was down by her silliness, her cackling laugh and, honestly, simply by her presence. 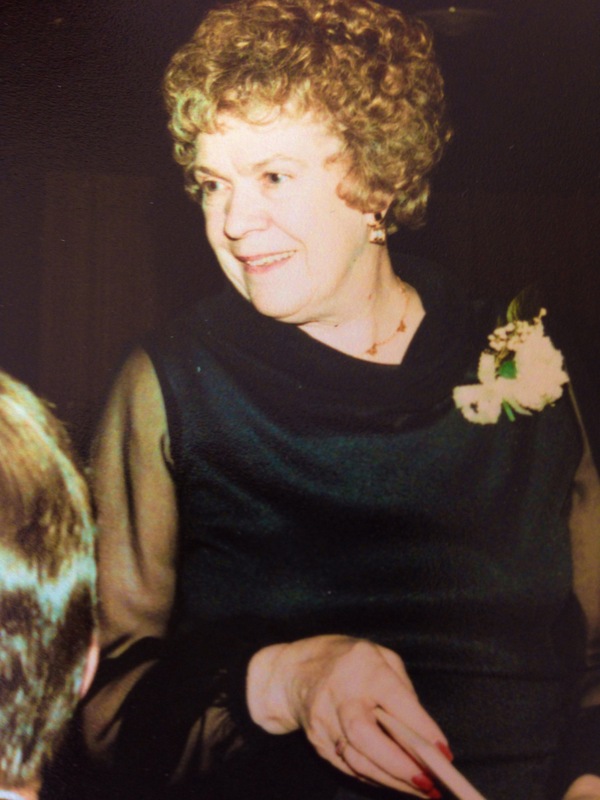 This woman was always so proud of the work I do as a doula. This woman encouraged me and supported me. I don’t know where I would be had it not been for the love she has shown me. She could see things weren’t always right at home, and she went above and beyond to show me how to love and what it meant to be unconditionally loved. She showed me compassion and empathy, strength and courage. I love her so much for all she has shown me. I will be forever grateful for the presence of this woman in my life. My only hope is that she was able to feel how much I truly loved her, how much I was grateful for. She knew, for I never left her without telling her so. I pray that she felt it too. I would consider myself a blessed woman to have part of her beautiful soul living on and radiating through me. The heart of this woman I will carry with me always. This beautiful soul is my Grandma. May she rest in peace. Loved surprising Grandma on Halloween! A special soul, she was. Just a visit. Still loving on those puppies whenever she could. She couldn’t see anymore, but loved those great grandchildren. 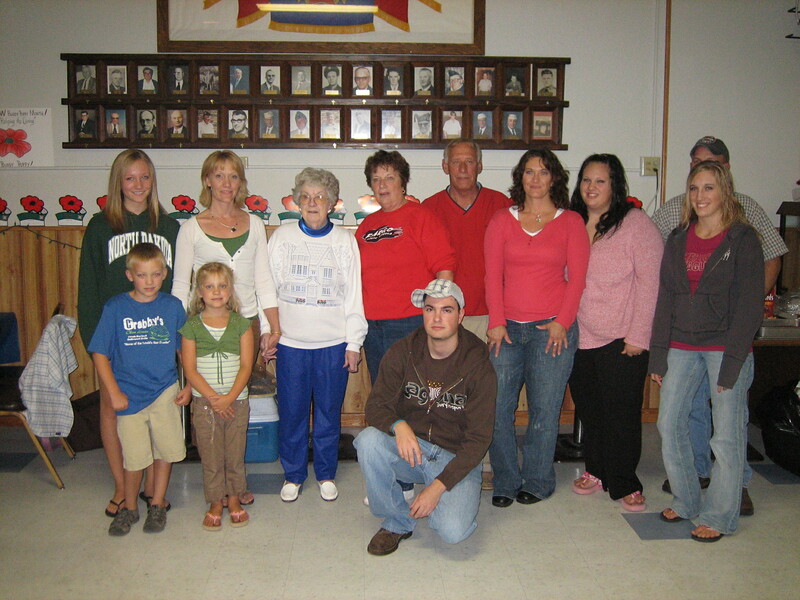 The immediate family there for her 90th Birthday Party. 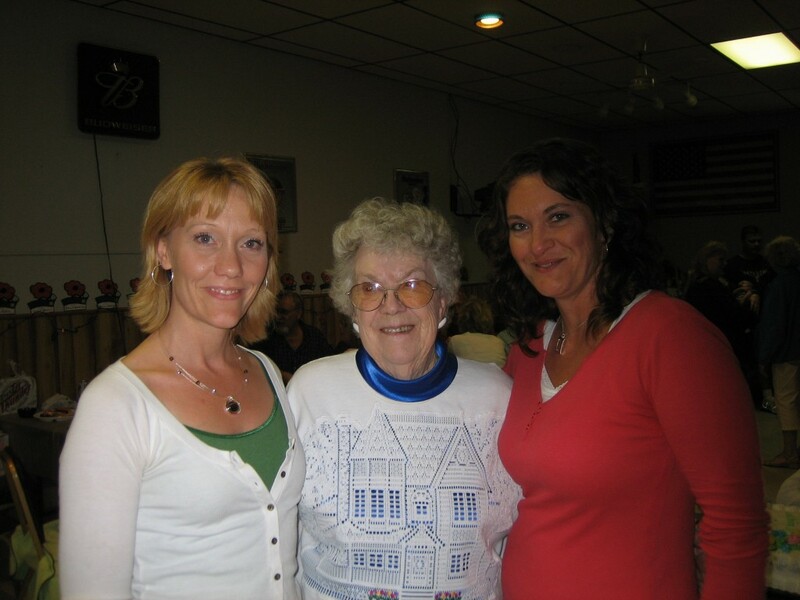 Nadine and I with Grandma on her 90th Birthday. What a beautiful tribute, Rhonda. I know she loved you so much and appreciated the time that you spent with her.